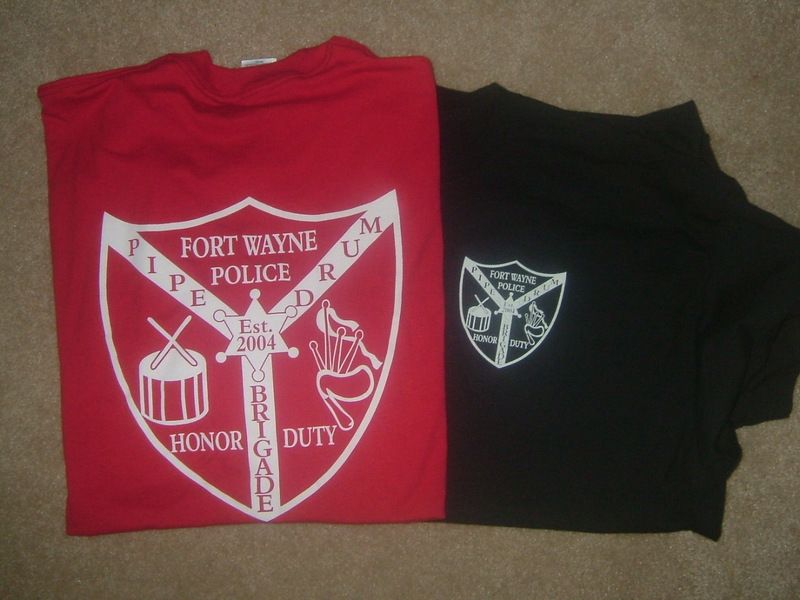 We are selling the shirts as a fundraiser to help pay for our brigade to go to Police Memorial week in May 2009. Sizes (Small - 2x) with colors in hunter green, red, black and blue. The shirts are $15 each and you can order by contacting any of our band members or through the contact info below. Thanks for your support and helping us to Honor our fallen Warriors.